Following and extensive health history, physical examination and a review of any past medical records, a diagnosis will be given and a treatment plan will be recommended. 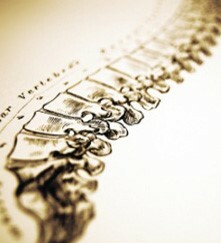 Chiropractic care is generally the primary treatment rendered working in conjunction with laser, massage and orthotics. Working in your best interest, and when necessary, we will always refer for diagnosis testing, refer to other specialists and work symbiotically with all health care practitioners. A wide variety of conditions can be treated by chiropractic care. Some of the most common conditions are listed below. We encourage you to call us if you do not see your specific condition listed, so we can address your particular concerns personally. Carpal Tunnel Syndrome affects millions of people every year. It is one of the most widespread occupational health problems we face today. This is due to our growing reliance on computers and other repetitive motion in the workplace, and the problem doesn't seem to be slowing down. CTS is caused by pressure on the median nerve just above the wrist. An injury or sustained use from common activities such as typing, chopping, hammering, or pushing can cause this pressure. Wrist pain, numbness, tingling, burning, weakness or loss of grip strength, and loss of sleep due to discomfort are some of the symptoms of CTS. A CTS patient has several options to treat this condition. A chiropractic adjustment to the affected area can be an extremely effective solution. A misalignment in either the back or neck can be the cause of this condition, and chiropractic manipulation of the neck and/or spine can also serve as an effective treatment option, especially in these cases. In most cases, stretching and strengthening exercises, along with chiropractic treatments and physical therapy, can effectively alleviate and eventually eliminate the symptoms associated with CTS. Discs are pads of cartilage that separate the bones of your spinal column and provide cushion and flexibility. The constant pull of gravity and stress from everyday movement can eventually take its toll on yoru disks. They absorb shock between each of the vertebrae. Normal aging, genetics, and injury can all lead to disc problems. Discs may bulge, protrude, or herniate due to a subluxation or structural imbalance. This can result in contact with the nerves and cause pain. The alignment of the spine greatly affects disc function. Problems with disks are a very common cause of back pain. Luckilly, the affliction can be treated effectively with realignment of the vertebrae and returning the spine to its normal range of motion. This reduces pressure on the spinal joints and discs. Physical therapy is also incorporated as well as strengthening exercises for the back and abdominal muscles. 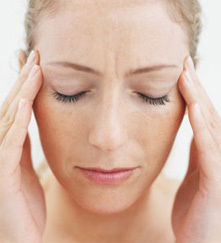 Headaches are a very common malady with many different causes. Physical trauma, emotional stress, nutritional deficiencies, or chemical toxins can all be causes of headaches. Nerves, muscles, and even blood flow into your head can all be affected if your neck and/or back are out of alignment. Pain medications such as asprin only mask the symptoms, but do nothing to alleviate the root causes of the pain. It is a simple matter to determine if chiropractic health care is a viable option for treating chronic headaches after a quick chiropractic examination. The frequency and intensity of headaches can be dramatically reduced with a few simple chiropractic adjustments. Common neurological conditions treated in chiropracticty are headaches, neuritis (inflammation of any part of a nerve, other than the nerve root), and radiculitis (inflammation of a nerve root as it exits the spine). 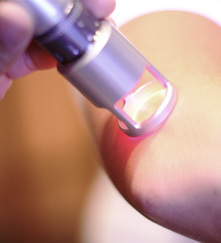 A common source of shoulder, arm and hand pain is radiculitis. With neuritis, patients sometimes experience sensations called paresthesias (feelings of tingling, hot spots, cold spots, crawling sensations, stinging, and burning). Joint dysfunction is the most common condition treated at our office. We are specially trained to treat joint disorders. Joint and articular problems can be caused by Osteoarthitis (degenerative joint disease), subluxations, sprains, intervertebral disc problems, and various abnormal changes in the curve of the spine. Please note that it is very important to treat such conditions early because impaired or misaligned joints will begin to rapidly degenerate if left untreated. Rehabilitation exercises, adjustment procedures, and physical therapy are very effective in treating joint disorders. 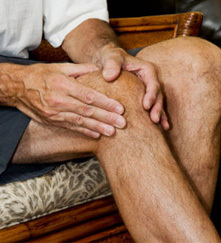 Osteoarthritis is the degeneration of the cartilage and bones of joints caused by "wear-and-tear" processes. It is often associated with degenerative changes in the disc and results in friction between adjacent vertebrae. The friction causes a strain as well as a loss of motion in the facets (gliding joints) of the spine. If these joints are exposed to continued trauma such as strenuous exercise, weakened muscles, and the inevitable factors of aging and heredity, the results can be severe low-back and/or leg pain. While chiropractic cannot halt the process of osteoarthritis, we can improve the quality of life while living with the disease. If you're suffering from osteoarthritis, your spine is usually less flexible; therefore, it becomes more vulnerable to injury. Under our care, your treatment may include spinal adjustments, physical therapy, and stretching and strengthening exercises. 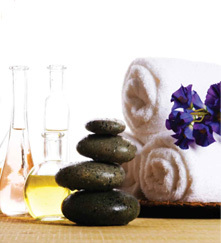 We can also recommend natural, drug-free ways to control your pain and discomfort. A set of symptoms including pain that may be caused by general compression or irritation of one of five spinal nerve roots that give rise to each sciatic nerve, or by compression or irritation of the left or right or both sciatic nerves. The pain is felt in the lower back, buttock, or various parts of the leg and foot. In addition to pain, which is sometimes severe, there may be numbness, muscular weakness, pins and needles or tingling and difficulty in moving or controlling the leg. Typically, the symptoms are only felt on one side of the body. Pain can be severe in prolonged exposure to cold weather. Subluxation (a.k.a. Vertebral Subluxation) is when one or more of the bones of your spine (vertebrae) move out of position and create pressure on, or irritate spinal nerves. Spinal nerves are the nerves that come out from between each of the bones in your spine. This pressure or irritation on the nerves then causes those nerves to malfunction and interfere with the signals traveling over those nerves. How does this affect you? Your nervous system controls and coordinates all the functions of your body. If you interfere with the signals traveling over nerves, parts of your body will not get the proper nerve messages and will not be able to function at 100% of their innate abilities. In other words, some part of your body will not be working properly it is the responsibility of the Doctor of Chiropractic to locate subluxations, and reduce or correct them. This is done through a series of chiropractic adjustments specifically designed to correct the vertebral subluxations in your spine. Chiropractors are the only professionals who undergo years of training to be the experts at correcting subluxations. Whiplash is the common name given to the injury where there is a hyperextention (increased backward motion) and hyperflexion (increased forward motion) of the cervical (neck) spine. More simply put, the head is dramatically thrust forward and backward. Car accidents and falls can cause whiplash injuries. Symptoms of whiplash include headaches; visual disturbance; stiffness of the neck; restriction of movement; and shoulder, neck, or arm pain. These symptoms may or may not be felt immediately. It is estimated that most whiplash injuries are not felt for several hours, days, and in some cases even months or years following the accident. Even if you are not in pain following a whiplash incident, it is important to receive prompt attention to your injury, as the structural balance of your neck and spine is important to your health. We can assist in your recovery by correctly adjusting your neck and/or spine so it has the chance to heal properly. In addition, we can recommend physical therapy, stretching and strengthening exercises, and natural anti-inflamatories to put you back on the road to good health. Pricing includes evaluations, treatment and management of all conditions.